We can help you with Indoor or Outdoor Wedding, Graduation, Band, Sports, Bar Mitzvah, Bat Mitzvah, Baptism, Confirmation, Funeral, Convocation, Corporate, and Private event videos. 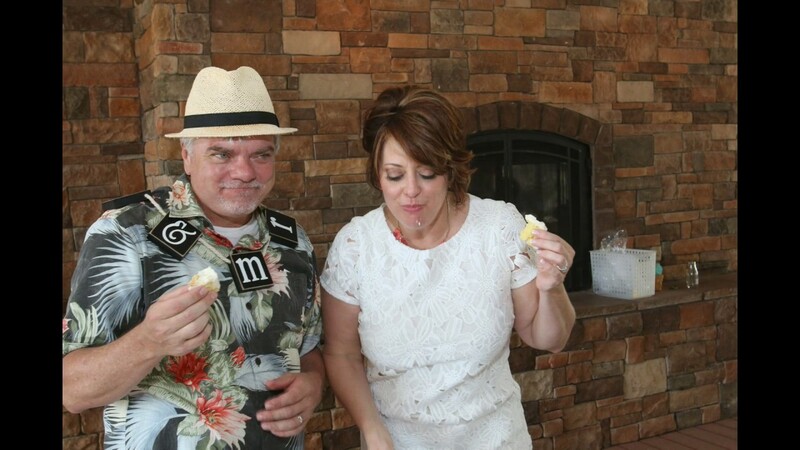 We also shoot professional photos at your event to incorporate into your final video. See our Packages to customize your event. Please book your event as early as possible. We can also shoot your event photos if we are already shooting the video event. We try to keep things simple. 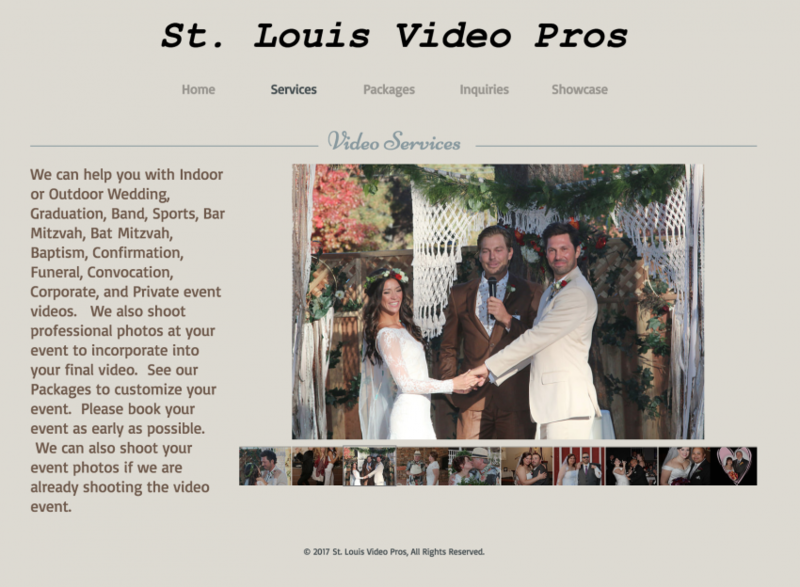 We customize each event to the video outcome needed. 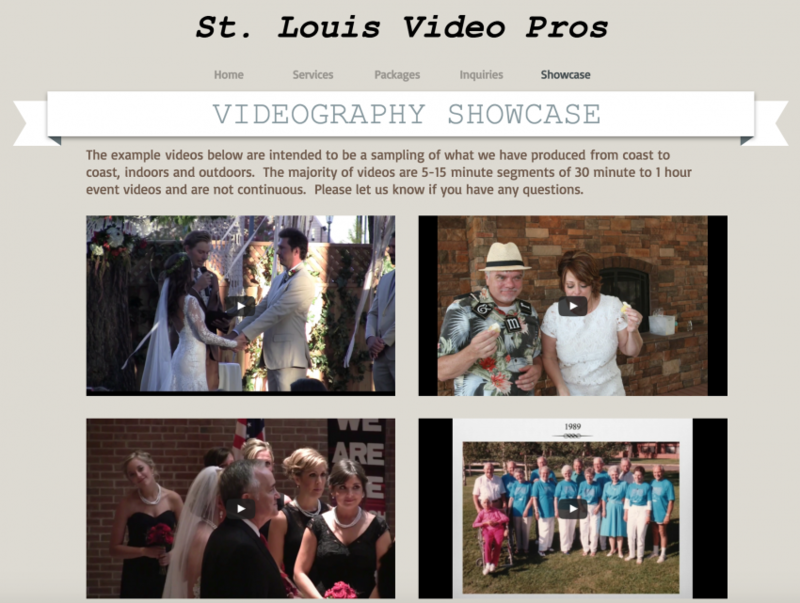 We shoot more video streams at your event than any other videographers in town. We also use professional audio equipment and engineers to make your video sound great. All this allows us to produce a professional quality product from multiple angles. Therefore, you only pay for what you need. We also offer original videos and audio on a hard disk so that you can keep all the streams for future editing. We have over 30 years of experience shooting photos and producing videos for Wedding, Graduation, Band, Sports, Bar Mitzvah, Bat Mitzvah, Baptism, Confirmation, Funeral, Convocation, Corporate, and Private events. We like to keep things simple. We offer two basic packages that 90% of customers prefer. We also offer a low down payment ($200) to reserve your date. All packages can be easily customized to personalize the experience for your needs. We are often asked how do we charge for our services. We use over $10,000 in equipment for each event. Contact us to discuss your needs and set up. No event is too small or large for us to handle. 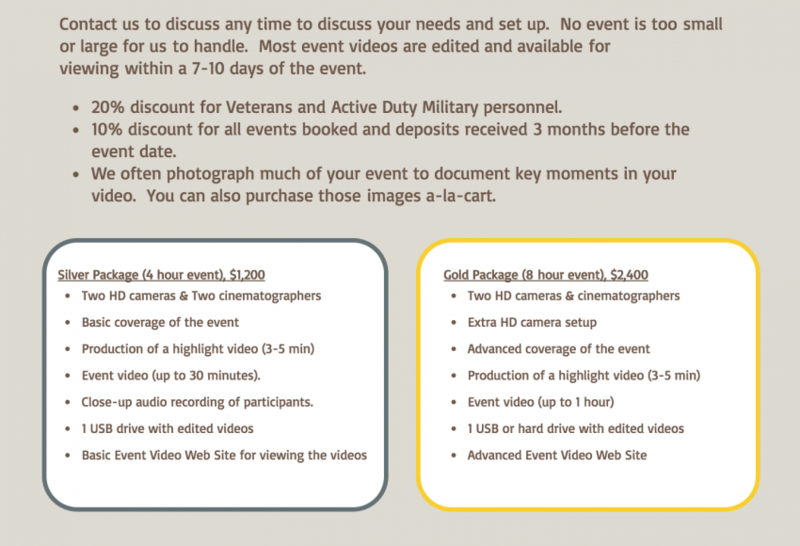 Most event videos are edited and available for viewing within a 7-10 days of the event. We use over $10,000 in equipment at each event. All of our content is recorded on HD digital video equipment, it backed up the same night, and stored in multiple locations. We use mobile digital recorders that allows us to record audio from multiple people at the same event. No matter what your needs, we have a solution for your event.